Maksym Ivanovych, 35, from Kiev in Ukraine has recently completed his Bachelor of Marine Technology degree (Maritime Management, Captain) in English at Novia UAS, Aboa Mare, after a previous degree in Economics. 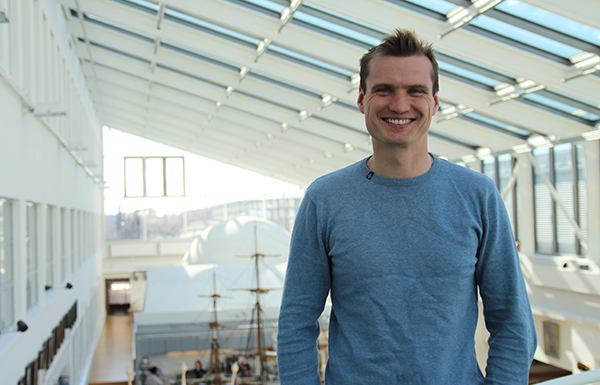 "Studying shipping is an excellent opportunity to combine work and my great interest in the sea. Navigation is an exciting job for those who like the ocean." Maksym appreciates the distribution between work and leisure time. "A seaman works for months on board, without day offs, but is also completely vacant when leaving the ship. During the vacant time he or she can take care of e.g. family, sports, hobbies and studies." The opportunity to study shipping in English made him choose Aboa Mare. "The shipping industry is an international industry with English as its main language. To be professionally educated with strong skills in English is an advantage in the competition for seagoing jobs." He points out the modern simulators used in the education at Aboa Mare. 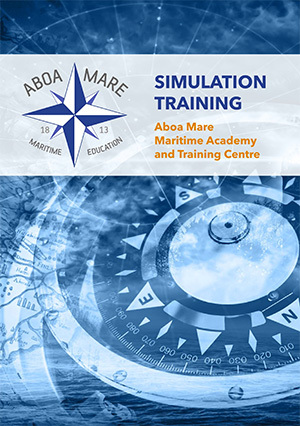 "The education at Aboa Mare provides the student with the certificates required to work in international traffic. I am very pleased with my studies. The knowledge I have received has turned out to be very useful in practice." During his studies, Maksym completed 360 days of onboard training. One of the longest training periods was an eight-month onboard training on the ship bridge on one of the large cruise ships in Western Caribbean, which has sailed e.g. between Mexico, Belize, Honduras and Jamaica. "I was taught all the tasks related to Marine Officer’s duties on a passenger ship, such as navigation, safety, maintenance, rules and procedures. A passenger ship is a different world and it takes time to learn all of its aspects." In his spare time he went ashore in different ports, socialized with colleagues and participated in activities organized for the crew. "But the most important is to get enough sleep." He wants to continue his career on passenger ships and one of his dreams is to work in Asia. "The education at Aboa Mare provides everything that it requires to become a marine officer and everybody who shares my excitement to work overseas should seriously consider studying Marine technology."